HTC VIVE, a virtual reality company, announced its new headset, the Vive Focus on Thursday. The tool is aimed at enterprises rather than gaming. What does shift in focus entail? Storage, built-in speakers and access to VR all rolled into a futuristic all-in-one headset – that is the recently announced Vive Focus by Virtual Reality (VR) company, HTC Vive. The company states that its target is enterprise and business and claim that this could be a relevant tool for simulated training and education for a wide variety of organizations including NASA and hospitals. Dan O'Brien, General Manager of the Americas at HTC VIVE, says that compared to other VR headsets that limit movement and come with expensive hardware add-ons, Vive Focus is a lot simpler to use while also being less expensive as an investment. The possibilities and potential of tools such as this are limitless. 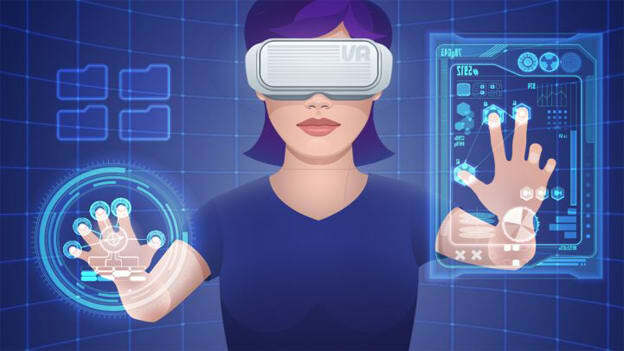 From training surgeons and other medical professionals and performing surgery virtually to prototyping and designing cars or even fixing glitches, VR headsets have multiple and varied applications. These are not just in the planning space but are actually already a reality. Innoactive, for example, a Germany-based VR software company, collaborated with Volkswagen to enable simulated training for employees to learn the process of assembling a car at a factory. VR can also be used to review codes and thus make aspects of the coding task a lot easier. O’Brien added, "Executives are understanding they can save time and money. Their designers don't all have to fly to Germany to meet in one room and talk about design. They can go to VR design room and talk collaboratively there." With VR making inroads into enterprises, the future seems to be a lot more collaborative – the perfect of balance of human-technology interaction. With AR (Augmented Reality) and VR being incorporated into the daily workday and being accepted by an increasing number of companies as the path to take, the implications for HR are manifold. The shift in focus cannot stop at accepting these new applications of technology but rather should start from there and look at enabling employees to make the most of these offering in ways that make sense to business.